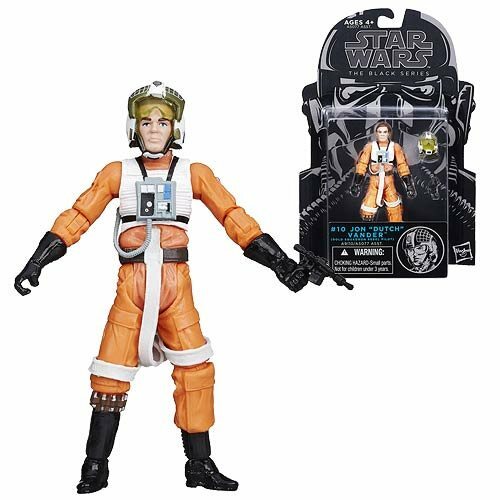 Ad: New and recent Hasbro Star Wars arrivals at Entertainment Earth! Snag the year's new Cantina alien with Mosep Bineed, in stock now for $13.99. Also grab recent arrivals like Leia in Boushh Disguise, Han Solo in Carbonite, the new Jawas 2-pack, and others - but only while they last. Click here for pricing and availability! It's time! 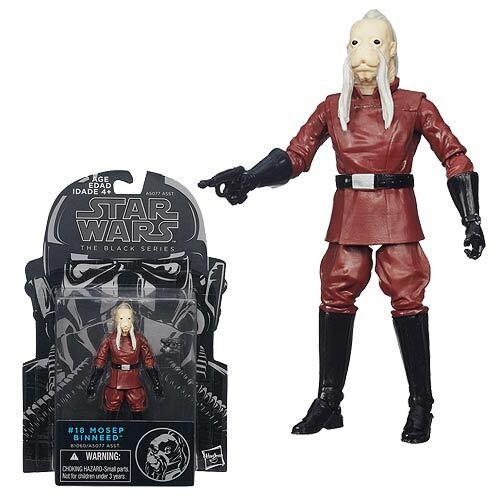 Order your Star Wars Clone Trooper Dirty Penny Version Hikari Sofubi Vinyl Figure - an Entertainment Earth Exclusive - Free Shipping in the USA! Only 250 are being made and at least one is spoken for - so go order yours before you miss out! You won't be sorry, these are really cool figures. 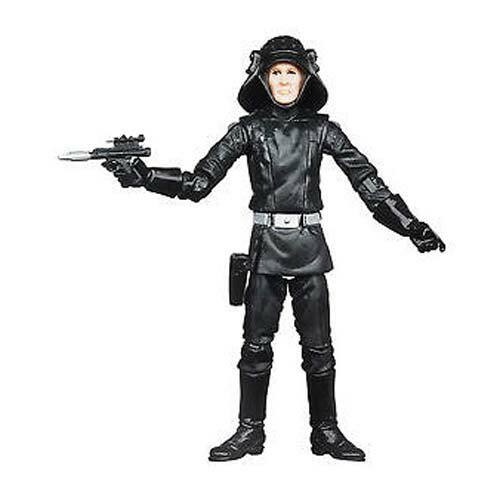 Ad: Order theStar Wars Black Series 3 3/4-Inch Action Figures Wave 8 Case from Entertainment Earth now! The 6-inch Wampa, the new 3 3/4-inch Mosep, and many other new figures are up for grabs if you're fast - so order your singles, sets, and cases while you can. Some new Transformers are up as well! Ad: Order yours now! Only 750 of the Star Wars Prism Boba Fett Premium Hikari Sofubi Vinyl Figure will be made, and here's your chance to order one. Click here and pre-order today, he's due in August and can be yours! Ad: A new Hasbro exclusive! 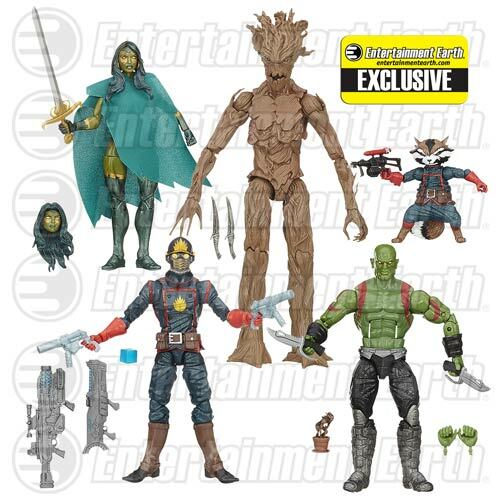 Order Guardians of the Galaxy Comic Edition Marvel Legends Action Figure Set - Entertainment Earth Exclusive now! Use the code MARVEL20 at checkout and get $20 off - and free shipping in the USA. Set includes Groot with a new head, Rocket with a new head, Star-Lord, and new costumes for Drax and Gamora plus a whole bunch of cool accessories like guns, more guns, and a potted baby Groot. Pre-order yours now! Ad: Two new Star Wars Hikari Vinyl Figures are up at Entertainment Earth today! First up: Star Wars Hikari Grey Skull Wampa. Limited to 250 pieces, this exclusive figure is due around June. Next up, the Shadow Trooper. 1,000 pieces will be made of this black Stormtrooper, and he's due in July. Pre-order yours now! If you don't yet have the latest wave of The Black Series figures, give Amazon a try. The latest wave has Bossk, Han Solo in Stormtrooper Disguise, the TIE Pilot, and Chewbacca. Amazon has these in stock for $22.99 or less - in the case of Chewbacca, much less. Order yours now! Ad: Amazon is getting new stock, including Star Wars Black Series 6-Inch Bossk and new Saga Legends. If you don't already have these on the way, now is a great chance to pick them up with free Prime shipping. Other figures are also available for pre-order. A limited edition of 750, the Star Wars Greedo Sublime Premium Hikari Sofubi Vinyl Figure is up for order at Entertainment Earth. The first release had metallic paint, while this one is clear, glittery plastic. These things shine bright in person, and this one is due in April. Only 750 are being produced and pre-orders are open now. Still looking to pre-order Black Series action figures? 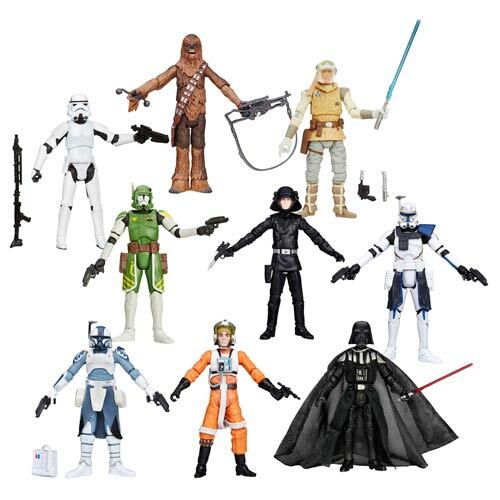 Amazon added Han Solo Stormtrooper, Luke Skywalker Stormtrooper, Emperor Palpatine, and the Clone Trooper Captain. Each is $22.99 and due in late May. Click here to get yours, or read on. Funko revealed (and Entertainment Earth put up a pre-order for) Star Wars Darth Vader Lightning Premium Hikari Sofubi Vinyl Figure this morning. 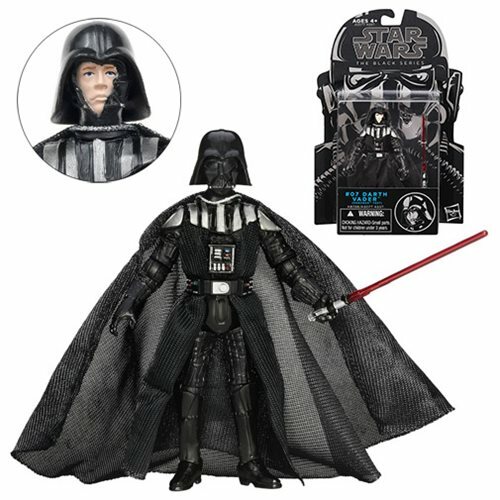 This figure is very similar to a Batman in the line in terms of deco, and is the first Darth Vader in this line. It is expected this April and pre-orders are open for $79.99. 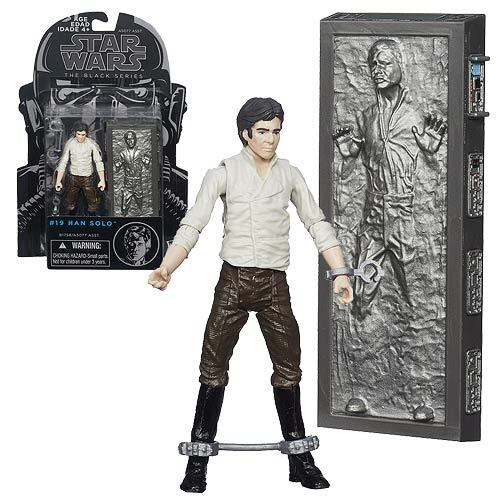 Ad: Entertainment Earth added a ton of new Hasbro Star Wars pre-orders! Lots of new figures are up for grabs today. Why wait? 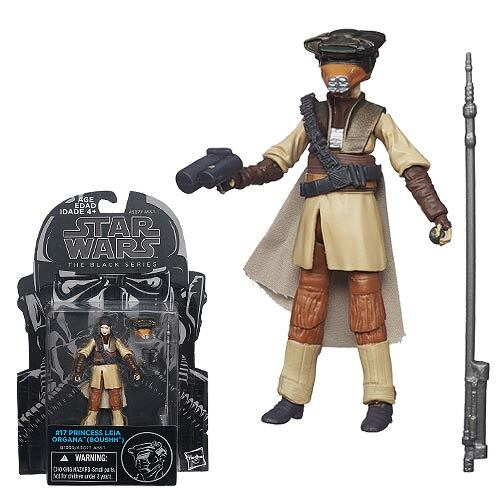 Get a Star Wars The Black Series Princess Leia in Boushh Disguise 6-Inch Action Figure, or spring for the whole Star Wars The Black Series 6-Inch Action Figures Wave 9 Case with Free Shipping, and so much more! Ad: Entertainment Earth added a ton of new Hasbro Star Wars pre-orders! Lots of new figures, cases, and sets are up for grabs today. Why wait? 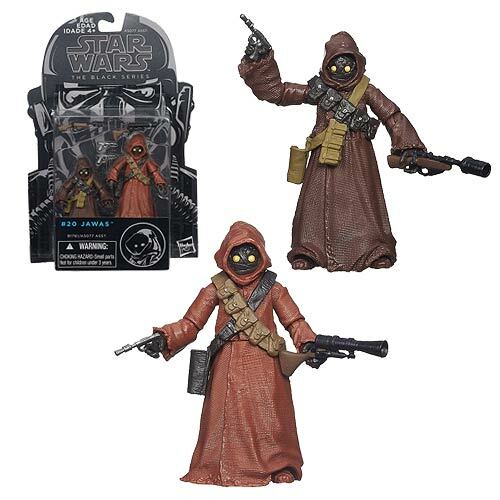 Get a Star Wars Black Series Captain Rex 3 3/4-Inch Figure, a Star Wars Black Series Commander Doom 3 3/4-Inch Figure, and so much more - like these amazing figures. Ad: Entertainment Earth added a ton of new Hasbro pre-orders! Lots of Marvel, Star Wars, Transformers, and more await you if you get them before they sell out. Why wait? Pre-order yours today!